There is no more surprise that large companies are adopting Agile practices. They have to be more flexible, need to adapt to the changing market and simply want to benefit from the various positive sides of Agile. However, this method is created for small teams of a few people and thus scaling up can prove to be difficult. Especially when wanting to stay true to the practices of Agile. One way to achieve this successfully within a large organization is SAFe. SAFe stands for Scaled Agile Framework and has been around for some time as a way to scale up the small team Agile practices. SAFe 4.0 reforms the traditional organizational thinking based on managerial levels and instead divides the company into 4 levels of self-organizing teams – Team, Program, Value Stream and Portfolio. Taking on such approach requires the company to restructure quite a bit and therefore is best suited for those that are planning on applying Agile practices not only for a single project or to a few teams, but committing to a full Agile takeover. 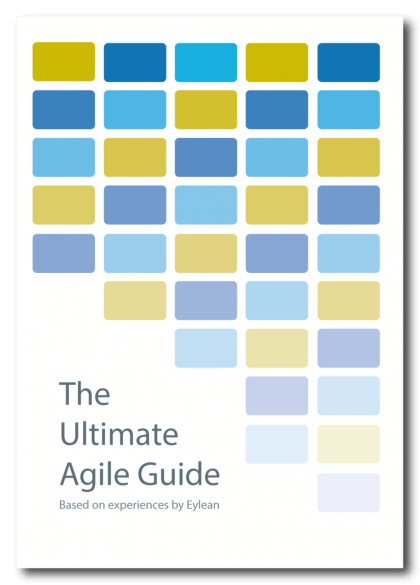 It is therefore safe to say, that if you are still on a fence about Agile and want to try it out first, SAFe 4.0 will be too drastic of an approach for you. On the other hand, if you are committed to have an Agile organization, this method can be great. As mentioned before, the way we understand the organizational structure changes with SAFe. Instead of having different level of managerial staff, we have different level teams that are all working towards achieving the same goal on 4 different scales. Working on the smallest scale of the end goal are the teams on the Team level. Here we encounter the traditional self-organizing agile teams with a Scrum Master and a Product Owner producing an incremental additional value to the end product after each iteration. The process at this level includes planning, execution, demonstrations, retrospectives and delivery of value in the most traditional Agile form (be it Scrum, Kanban or other method chosen by the team). If we were to compare it to Scrum, this would be the level where user stories and tasks get completed. The next level up in SAFe 4.0 is called the Program level. While the main objective of this and all the upper level teams is still to deliver incremental value, the way of doing it changes. Instead of delivering the value by completing tasks themselves, these teams coordinate several Team level teams in order to produce a working increment to the product. This achieved by using an Agile Release Train that aligns the releases of several lower level teams in order to produce a working feature at the end of an iteration. One Program level iteration is equal to five Team level iterations, and the first iteration starts with a planning meeting while the last iteration ends with a retrospective. To separate the teams and define the process more clearly, new team member titles are introduced as well – Release Train Engineer (Chief Scrum Master), Product Manager (defines and prioritizes the product backlog), System Architect-Engineer (provides guidance on the technical solutions), System Team (responsible for integration) and Business Owners (the key stakeholders). In the Scrum view, this is the level where product features are coordinated and completed. Scaling further up we encounter the Value Stream Level. Much like the Program level it is aimed at coordinating lower level teams. The teams at this level are responsible for joining all the relevant Release Trains into one value stream. To achieve that, all of the Program level planning and release meetings are coordinated to be held at the same time, thus allowing the Value Stream level teams to hold their own pre and post planning and release meetings and ensure all the Release Trains are going in the same direction. Once again new team member titles are added to bring in clarity. Value Strem Engineer, Solution Management and Solution Architect/Engineer are assigned to look over the process and ensure the incremental added value after each iteration. Going back to the Scrum analogy this would be the level where product capabilities are being monitored and released. Last, but definitely not least, we come up to the Portfolio level. Just like you might have guessed this is the equivalent of a traditional executive suite. At this largest scale of the product, the team is responsible for the portfolio backlog and strategic management of several Value Streams to deliver the business goals. All of the strategic decisions and budgeting are done at this level and the general company direction comes straight from the decisions that this team makes. The titles of this level team include Program Portfolio Manager, Epic Owners and Enterprise Architect. And they are responsible for all of the strategic decisions and budgeting as well as the general direction that the company of the product will be going in. Within the Scrum analogy, this is the team that manages and completes the Epics. SAFe 4.0 reworks the traditional understanding of Agile and adopts it the organizational structure. Instead of having one team dealing with the whole Epic – Capability – Feature – User Story chain, it breaks down this chain based on the command levels within the organization. The executives are reworked into Portfolio level teams and handle the big decisions with the Epics, middle management takes over the Capabilities and creates Value Stream level, the lower management takes over the Features at the Program level and the actual employees work on the Team level to complete clear tasks. Such an approach requires a big commitment from an organization, but in return provides a clear way to adopt Agile at a large scale without losing its essence and flexibility. Learn more about SAFe here.